Today has been a long day, with a training course, a 2 and a half hour hour train ride, then a lovely meal with my husband. 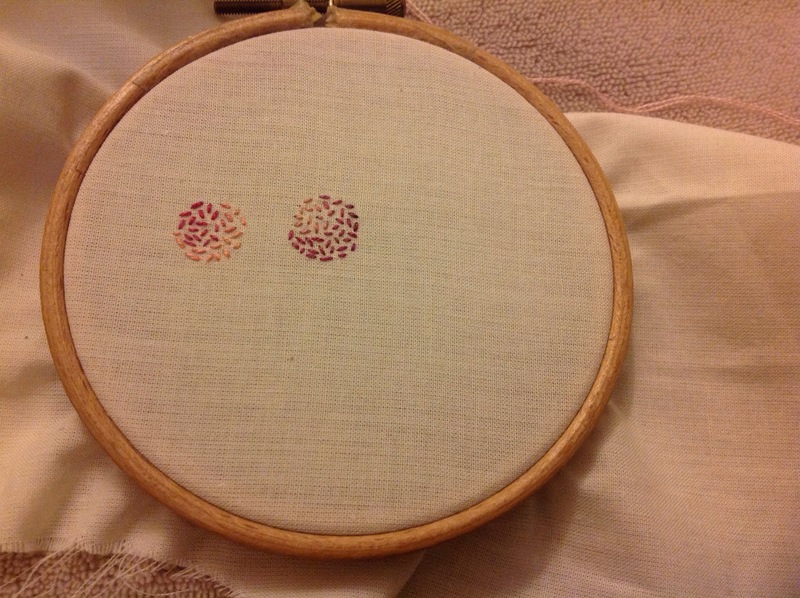 That meant that today’s creativity was a simple 15 minutes of seed stitching in variegated pink (because that’s what is in my sewing bag). It’s going to turn into allium inspired flower heads, probably for a card.